Is it possible that Justin Bieber ‘suffers’ from both? Both are wacko … but how wacko can they get? Just look at this photo…. It’s Justin Bieber and his father with matching tattoos. Not just tattoos, tattoos of Jesus’ name in Hebrew. Not wacko? The ‘Jesus Syndrome’ as well can infect anyone as well. In the case of Bieber, it might be a combination of both, as he was a recent visitor to Jerusalem (despite being asked not to perform here by the Boycott from Within Movement). A short report about the tattoos can be read HERE. To all of my Muslim Brothers and Sisters…. May this year’s Ramadan usher in a new era of Peace and Hope…. Hundreds of BDS demonstrators gathered again yesterday at Melbourne’s Central Business District to protest against the attack and arrest of 19 nonviolent BDS supporters on July 1st as reported here by Kim Bullimore. Victorian Police had previously arrested demonstrators at the Max Brenner cafe, owned by the Israeli Strauss Group, which directly funds two IDF brigades, the Golani and Givati brigades. The 19 protestors now face exorbitant fines of up to $30,000. According to organizers CAIA (Coalition Against Israeli Apartheid), yesterday’s demonstration expanded to approximately 500 people, 4 times as many as the rally 30 days ago. Starting at the Victorian State Library demonstrators marched through the city streets first to the Max Brenner in Melbourne Central, and then onto Max Brenner in the QV courtyard to show support for those arrested and assert their legal right to continue protesting against those who support and fund Israeli apartheid. Some Arab states have been dawdling in paying their pledged financial assistance to the PA, complaining about the spread of corruption and financial mismanagement with the self-rule authority. Muhammed and Sarah Sawabha live at a middle class Ramallah neighborhood, with their six children, including two college students. Muhammed has a Bachelor of Science and earns a monthly salary of about $800 US dollars as a teacher at a local school. His wife, who has a BA in Arabic Language and Literature earns nearly the same amount, teaching Arabic at one of the largest and most prestigious high schools in suburban Ramallah. Like many other Palestinian families, the Sawabhas are ill-prepared to receive the Muslim holy month of Ramadan during which family spending increases substantially. “We always struggled to make ends meet. But this is the first time we feel we are fighting on many fronts and losing,” said Muhammed. The family, which doesn’t own a home, pays an annual rent amounting to $3000. And with ever increasing college tuition, school expenses and disappearing government subsidies, only a meager amount of money is left for a decent living. Muhammed explains that with Ramadan “knocking on the door,” and with the new college season only a few weeks away, and with three schools kids ready to go to school in mid September, he simply doesn’t know how he could meet the staggering financial obligations. “I don’t know what do. But Allah befrejha, God will help us overcome the problem,” says the 48-year-old teacher, his eyes looking heavenward. According to PA officials, the current financial crisis hitting the occupied territories is probably the severest in living memory, certainly since the establishment of the Palestinian Authority (PA), following the conclusion of the Oslo Accords between Israel and the PLO in 1993. The crisis stems from direct and indirect causes. The direct causes includes the failure of mainly Arab donors to honor their pledges to a cash strapped PA living on a tight budget, the lion’s share of which goes to paying salaries to as many as 160,000 civil servants and public employees. He explained that the current crisis was real; saying his government in Ramallah had been unable to pay salaries and meet urgent financial obligations. Others, like Kuwait, are fed up with the chronic PA inability or failure to wean itself off dependence on foreign assistance. Another key factor contributing to recurrent financial problems besetting the PA stems from the unnecessarily bloated security establishment which devours a huge chunk of the Palestinian budget. The PA has as many as 80,000 security personnel on its payroll. The bloated force, built on instructions from the western donor countries, particularly the United States, consumes as much as $50 million per month. The various Palestinian security agencies do very little work besides controlling and pacifying the Palestinian populace, including preventing any form of proactive resistance against the Israeli occupation. Some security experts have opined that for the purposes of keeping law and order, the Palestinian community in the West Bank needs no more than a moderate civilian security force totaling 10,000-20,000 police officers. However, the PA thinks that the huge security force is necessary to protect its own survival, especially in the face of a possible revolution and also to prevent the recurrence of what happened in the Gaza Strip in 2007 when the Islamic Liberation Movement, Hamas, wrested control over the coastal enclave, from Fatah militias which tried, with vigorous US assistance, to overthrow the democratically-elected government of Hamas. A few years ago, the PA forced thousands of pro-Arafat activists within the security agencies into early retirement, fearing a possible revolt against the policies of Mahmoud Abbas and his pro-western government, headed by Salam Fayyad, who is largely viewed as unpatriotic or not patriotic enough. However, to appease and pacify these people, many of them still in their mid 30s and early 40s, the Fayyad government paid them hefty retirement salaries reaching in some cases $4,000 dollars per month. The amount is considered a dream retirement for even the highest-ranking university professors who receive comparatively modest pension salaries. Then there is the ghoul of corruption corroding through the PA financial structure whose tide successive Palestinian governments failed to stem. It is widely believed that hundreds of millions of dollars are lost to corruption every year. Some observers believe that the PA is so-much infested with corruption that stemming its tide can’t be achieved without a comprehensive surgical intervention that would upset and alienate large segments of the PA hierarchy. True, the corruption readings are not as high as they were five or six years ago, when embezzlement, nepotism, favoritism, bribery were the norm, rather than the exception. Moreover, the PA government has shown a determination and a willingness to fight corruption, especially its stark and brazen forms. For example, a special ad hoc court has been established to prosecute corrupt officials. The court head, Rafik Natshe, a veteran Fatah leader and former Speaker of the Legislative Council, recently ordered two cabinet ministers to appear before a special panel of judges for questioning in connection with allegations of financial mismanagement. However, there are those, and they are many, who think that PA efforts are “too little and too late” and that the PA needs to declare fighting corruption a real national priority. Some of the fundamental problems exacerbating recurrent financial problems hitting the PA lie in the fact that the PA is not a sovereign state or even a semi state given the fact that Israel continues to control Palestinian border crossings, financial resources, taxes and all other components of a healthy economic process. In recent months, especially since the PA leadership announced plans to seek UN recognition of a putative Palestinian state, Israel suspended the transfer of customs and tax revenue payments to the Palestinian government in Ramallah. The financial strangulation was only relaxed after the PA pressed the Obama administration and EU states to pressure Israel to reconsider the draconian measure, resorted to every time the PA refuses to be at Israel’s beck and call. Finally, it has always been a fantasy to build a prosperous economy with a sound financial system under a foreign military occupation. This is what many Palestinian and non-Palestinian intellectuals had warned about. This is why the current financial predicament facing the PA is the price the PA and the rest of the Palestinian people are paying, for venturing to placing the cart before the horse by trying to build a state before liberation from one of history’s most criminal and evil military occupations. New legislation in the US threatens to conflate campus criticism of Israel with anti-Semitism. A number of new initiatives to curtail freedom of speech by conflating opposition to Israeli crimes with anti-Semitism are underway in the United States and Canada. The Canadian Parliamentary Coalition to Combat Anti-Semitism (CPCCA) issued a report in early July recommending the adoption of strict new standards defining anti-Semitism and the types of speech and campus activities that would violate them. Its report urged the Canadian government to adopt the European Union Monitoring Centre on Racism and Xenophobia’s definition of anti-Semitism (“Report on the Inquiry Panel,” 7 July 2011 [PDF]). That definition suggests that any questioning of whether Israel has the right to exist as a state that privileges Jews over people of other religions or ethnic backgrounds amounts to anti-Semitism. Though the Canadian group is not linked to the Ottawa government, it has 22 parliamentarians as members. 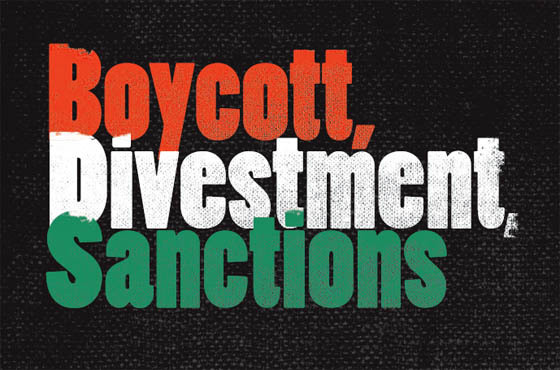 Activities it deems as anti-Semitic and, therefore, calls to be banned, include events such as the Israeli Apartheid Week that was founded in Toronto and now takes place on college campuses internationally every March. Federal authorities from the Office of Civil Rights with the US Department of Education are investigating charges of anti-Semitism against the University of California Santa Cruz, as well as at other institutions within the California university system, according to published reports. These are the first investigations taking place since Title VI of the Civil Rights Act was re-interpreted in October 2010, allowing Jewish students, as members of a religious group, to claim discrimination under a provision that previously applied only to racial and ethnic bigotry. A “dear colleague” letter issued by the Office of Civil Rights in October 2010 said that discrimination against a student who is a member of a religious group violates Title VI when the discrimination is based on the group’s “actual or perceived shared ancestry or ethnic characteristics … or when it is based upon the student’s actual or perceived citizenship or residency in a country whose residents share a dominant religion or a distinct religious identity,” David Thomas, a US Department of Education spokesman, explained by email. Major pro-Israel organizations such as the Zionist Organization of America and the Anti-Defamation League have lobbied for this re-interpretation for years. Title VI now can be applied to Jewish students who claim universities create hostile campus environments if they allow pro-Palestinian events or even class lectures critical of Israeli policies. Dr. Hatem Bazian, a Palestinian-American professor of Near Eastern and Ethnic Studies at the University of California, Berkeley, who founded the Students for Justice in Palestine (SJP) there in 2001, takes issue with the amended understanding of Title VI. While he agrees that Jewish students, as well as Muslim students, should be protected from discrimination based on their religious identity under Title VI, he believes the reinterpretation is actually being used to silence debate about Israel. “Attempts to silence opposition to the illegal Israeli occupation and policies is un-American and amounts to political and academic censorship,” Bazian said via email. (Bazian is also the chairman of American Muslims for Palestine, the organization with which this writer is employed). The Title VI reinterpretation and the subsequent case against Santa Cruz is part of a growing trend of stifling of protected political speech on college campuses. Several lecturers and professors have been censured and even denied tenure because they openly criticized Israeli policies or advocated for Palestinian rights. Perhaps the most widely publicized cases are those of former DePaul University professor Norman Finkelstein and North Carolina State University professor Terri Ginsberg, both of whom were not given tenure because of their open criticism of Israeli policies in 2007 and 2008, respectively. Ginsberg initiated legal action against North Carolina State and her case is currently on appeal. The new interpretation has rejuvenated a 29-page complaint brought against the University of California Santa Cruz in June 2009 by lecturer Tammi Rossman-Benjamin, the contents of which have been kept secret by the Department of Education and university officials. On 13 April, American Muslims for Palestine filed a Freedom of Information Act (FOIA) request for the complaint with the San Francisco Office of Civil Rights. Federal authorities declined the request on 22 April, saying that supplying the complaint would “constitute an unwarranted invasion of personal privacy” and that it could “reasonably be expected to interfere with enforcement proceedings,” both of which are listed as exemptions under the federal FOIA statute. What is so troubling in the University of California Santa Cruz investigation is that the amended interpretation is being applied retroactively to Rossman-Benjamin’s complaint, which she filed more than one year before the October 2010 “dear colleague” letter. No one contacted from the university or the Department of Education would discuss how an institution can be held liable for something that was not considered to be a violation at the time it occurred. 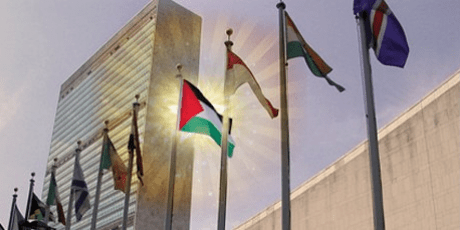 Thomas failed to respond to American Muslims for Palestine’s direct question about how the new interpretation could be applied retroactively, though it was posed three times in three separate emails on 13 and 15 April. “We believe that [the Office of Civil Rights’] investigation will ultimately conclude that [the University of California Santa Cruz] diligently enforces laws, policies and practices that protect our students’ civil rights. But we also believe that our review of the matter with OCR will provide us with an opportunity to examine our relevant policies and practices to ensure that is the case,” he added. If federal investigators find a university to be in violation of Title VI and the institution does not remedy the situation satisfactorily it could lose federal funding. This is a worst-case scenario to be sure, but it is one that seemingly threatens the open exchange of ideas on college campuses. “While some of the recent allegations … might well raise a claim under Title VI, many others simply seek to silence anti-Israel discourse and speakers. This approach is not only unwarranted under Title VI, it is dangerous,” Cary Nelson, president of the American Association of University Presidents (AAUP), and Kenneth Stern of the American Jewish Committee, wrote recently in an open letter on AAUP’s website. “The purpose of a university is to have students wrestle with ideas with which they may disagree, or even better, may make them uncomfortable. To censor ideas is to diminish education, and to treat students as fragile recipients of ‘knowledge,’ rather than young critical thinkers,” they added. American Muslims for Palestine’s Hatem Bazian said the implications of the re-interpretation go far beyond free speech in the classroom and at extra-curricular events. Funding for scholarly research and academic conferences that bring up “legitimate criticism of Israel” may be at stake, he said. “The new interpretation will directly, first and foremost, impact those who administer Title VI funding, and they for sure will be more hesitant and will engage in self-censorship in funding research or activities that are critical of Israel,” Bazian said. Indeed, the Anti-Defamation League was one of 12 national organizations that urged the Department of Education to amend its Title VI interpretation. It may have just been a co-signer in that battle but the ADL has taken the lead in many high-profile cases to stifle free speech and public debate in its hundred-year history. In March, the ADL, along with the American Jewish Committee and the Bay Area Jewish Community Relations Council, protested an academic conference at the UC Hastings College of the Law in March entitled “Litigating Palestine: Can Courts Secure Palestinian Rights?” Their protest was so effective the university board voted to remove its name and endorsement for the event and it prevented university Chancellor Frank Wu from making opening remarks. Writing about the incident in the San Francisco Chronicle, Cecilie Surasky, deputy director of Jewish Voice for Peace, stated that “Perhaps for the first time in US history, there is an aggressive challenge to a one-sided narrative that covers up or justifies ongoing Israeli repression of Palestinians” (“Pressure on law conference threatens free speech,” 21 April 2011). The same threats of losing federal funding because of an “anti-Semitic and hostile environment” are being leveled at Rutgers University in New Jersey, thanks in large part to a 15-page letter written to the university by Zionist Organization of America President Morton Klein, and copied to the state’s governor, its US senators and representatives and other officials. Rossman-Benjamin’s complaint against University of California Santa Cruz could very well be a test case under the new interpretation of Title VI. The reinterpretation, when viewed against the backdrop of professors being censured or denied tenure because of their political views, could have an adverse affect on the free exchange of ideas on college campuses at a time when debate and concrete examinations of US foreign policy in the Middle East is needed more than ever. *Kristin Szremski is an independent journalist and currently the director of media and communications for the American Muslims for Palestine. HAS THE ‘ARAB SPRING’ FINALLY ARRIVED IN ISRAEL? Demonstrations are held in more than ten cities across Israel in bid to lower housing prices; PM Netanyahu mulls tax breaks to quell the public protests. Protests against the spiraling costs of living in Israel, that have become a nationwide phenomenon, were held Saturday in cities across the country. Tent cities have been erected throughout the country in recent weeks in a bid to bring about a reduction in housing costs, and last Saturday thousands turned out for a mass demonstration in Tel Aviv in which several were arrested in scuffles with police. Gatherings took place Saturday in Tel Aviv, Kiryat Shmona, Nazareth, Haifa, Modiin, Ashdod, Ashkelon, Jerusalem and Be’er Sheva, Hod Hasharon and Raanana. The protests began at 9:00 P.M. on Saturday and will end with concerts by several well-known Israeli performers including Yehuda Poliker, Barry Sakharov and Yishai Levi. In Haifa, thousands of people marched through the city, and in Jerusalem thousands marched from Horse Park to the house of Prime Minister, Benjamin Netanyahu. The protesters shouted “he nation demands social justice.” On their route, they passed the site of the housing protest tent city set up in Jerusalem’s Independence Park. In Be’er Sheva, over one thousand protesters marched carrying banners saying things like, “Be’er Sheva is shouting times seven.” ‘Sheva’ is the Hebrew word for the number seven. In Ashdod, protesters are marching from City Park. Around 150 people gathered at Ashdod’s tent city on their way to the march. Students from Beit Barel marched from the tent city at Kfar Sava to central Ra’anana junction. For the first time since the beginning of the protests 16 days ago, a protest involving both Jews and Arabs took place in central Nazareth. In Kiryat Shmona 500 protesters marched in the city’s main road, towards the southern exit of the city. Motorcyclists also joined the housing struggle. 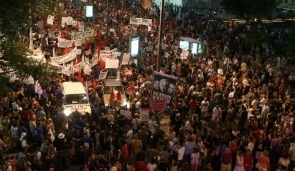 They gathered at Cinema City near Glilot Junction and left from for a slow-ride to the demonstration near the Tel Aviv Museum. Part of the professed philo-Zionism of these Islamophobic groups is, of course, pure make-believe, designed to disguise their neo-Nazi character. If you love Jews, or the Jewish State, you can’t be a Fascist, right? You bet you can! However, I believe that the major part of this adoration of Israel is entirely sincere. The Nazi Propaganda Minister, Dr. Joseph Goebbels, calls his boss, Adolf Hitler, by hell-phone. “But what about the Jews?” Hitler insists. Sounds familiar. Where did we hear this before? Of course, after the assassination of Yitzhak Rabin. There is no connection between the Oslo mass-murder and the assassination in Tel Aviv. Or is there? During the months leading up to Rabin’s murder, a growing hate campaign was orchestrated against him. Almost all the Israeli right-wing groups were competing among themselves to see who could demonize him most effectively. In one demonstration, a photo-montage of Rabin in the uniform of an  SS officer was paraded around. On the balcony overlooking this demonstration, Binyamin Netanyahu could be seen applauding wildly, while a coffin marked “Rabin” was paraded below. 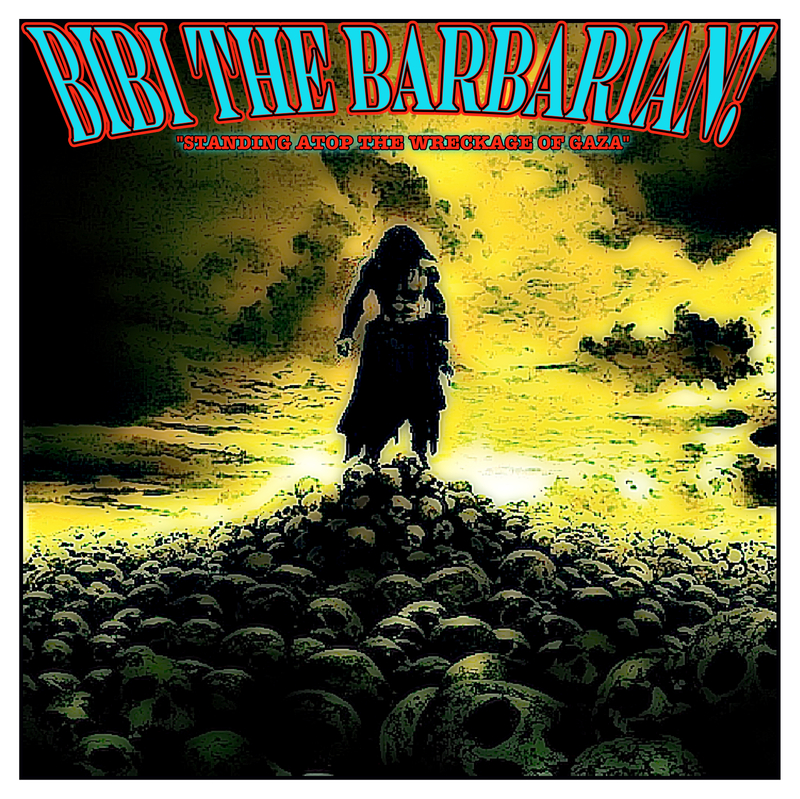 Religious groups staged a medieval, kabbalistic ceremony, in which Rabin was condemned to death. Senior rabbis took part in the campaign. No right-wing or religious voices were raised in warning. The actual murder was indeed carried out by a single individual, Yigal Amir, a former settler, the student of a religious university. It is generally assumed that before the deed he consulted with at least one senior rabbi. Like Anders Behring Breivik, the Oslo murderer, he planned his deed carefully, over a long time, and executed it cold-bloodedly. He had no accomplices. Or had he? Were not all the inciters his accomplices? Does not the responsibility rest with all the shameless demagogues, like Netanyahu, who hoped to ride to power on the wave of hatred, fears and prejudice? As it turned out, their calculations were confirmed. Less than a year after the assassination, Netanyahu indeed came to power. 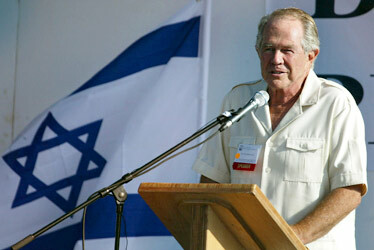 Now the right-wing is ruling Israel, becoming more radical from year to year, and, lately, it seems, from week to week. 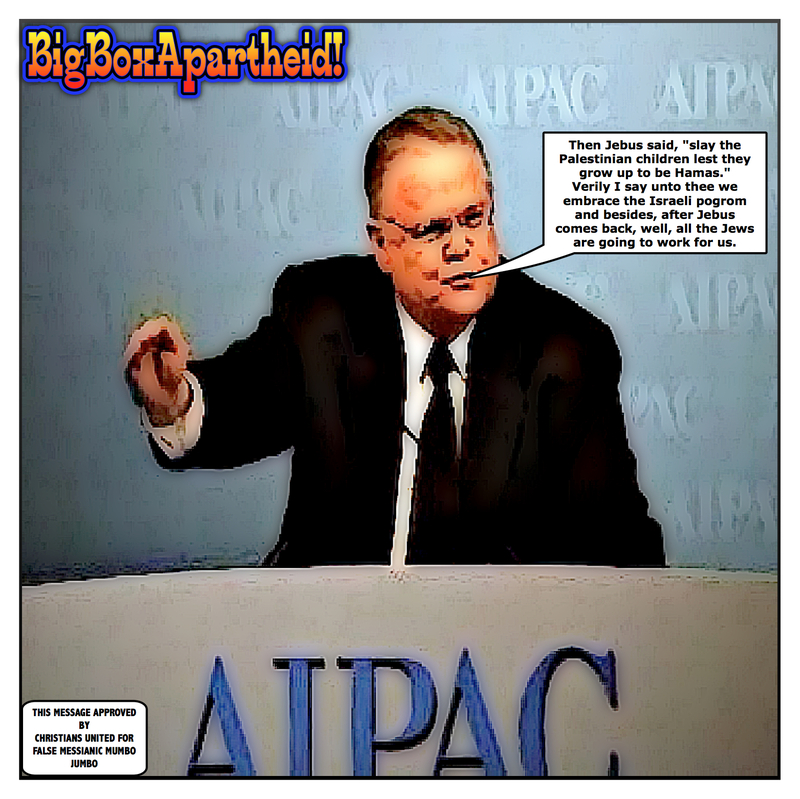 Outright Fascists now play leading roles in the Knesset. All this – the result of three shots by a single fanatic, for whom the words of the cynical demagogues were deadly serious. The latest proposal of our fascists, straight from the mouth of Avigdor Lieberman, is to abrogate Rabin’s crowning achievement: the Oslo agreements. So we come back to Oslo. When I first heard the news about the Oslo outrage, I was afraid that the perpetrators might be some crazy Muslims. The repercussions would have been terrible. Indeed, within minutes, one stupid Muslim group already boasted that they had carried out this glorious feat. Fortunately, the actual mass-murderer surrendered at the scene of the crime. He is the prototype of a Nazi anti-Semite of the new wave. His creed consists of white supremacy, Christian fundamentalism, hatred of democracy and European chauvinism, mixed with a virulent hatred of Muslims. This creed is now sprouting offshoots all over Europe. Small radical groups of the ultra-Right are turning into dynamic political parties, take their seats in Parliaments and even become kingmakers here and there. Countries which always seemed to be models of political sanity suddenly produce fascist rabble-rousers of the most disgusting kind, even worse than the US Tea Party, another offspring of this new Zeitgeist. Avigdor Lieberman is our contribution to this illustrious world-wide league. Right-wing Israelis, who are courted by these groups, argue that it is not their fault that all these hate-mongers are attracted to them. On the face of it, that is of course true. Yet one cannot but ask oneself: why are they so attracted? Wherein lies this attraction? Does this not warrant some serious soul-searching? I first became aware of the gravity of the situation when a friend drew my attention to some German anti-Islamic blogs. I was shocked to the core. These outpourings are almost verbatim copies of the diatribes of Joseph Goebbels. The same rabble-rousing slogans. The same base allegations. The same demonization. With one little difference: instead of Jews, this time it is Arabs who are undermining Western Civilization, seducing Christian maids, plotting to dominate the world. The Protocols of the Elders of Mecca. A day after the Oslo events I happened to be watching Aljazeera’s English TV network, one of the best in the world, and saw an interesting program. For a whole hour, the reporter interviewed Italian people in the street about Muslims. The answers were shocking. Mosques should be forbidden. They are places where Muslims plot to commit crimes. Actually, they don’t need mosques at all – they need only a rug to pray. Muslims come to Italy to destroy Italian culture. They are parasites, spreading drugs, crime and disease. They must be kicked out, to the last man, woman and child. I always considered Italians easygoing, loveable people. Even during the Holocaust, they behaved better than most other European peoples. Benito Mussolini became a rabid anti-Semite only during the last stages, when he had become totally dependent on Hitler. Yet here we are, barely 66 years after Italian partisans hanged Mussolini’s body by his feet in a public place in Milan – and a much worse form of anti-Semitism is rampant in the streets of Italy, as in most [or “many”?] other European countries. Of course, there is a real problem. Muslims are not free of blame for the situation. Their own behavior makes them easy targets. Like the Jews in their time. Europe is in a quandary. They need the “foreigners” – Muslims and all – to work for them, keep their economy going, pay for the pensions of the old people. If all Muslims were to leave Europe tomorrow morning, the fabric of society in Germany, France, Italy and many other countries would break down. One can understand these Europeans, up to a point. Immigration causes real problems. The migration from the poor South to the rich North is a phenomenon of the 21st century, a result of the crying inequality among nations. It needs an all-European immigration policy, a dialogue with the minorities about integration or multiculturalism. It won’t be easy. But this tidal wave of Islamophobia goes far beyond that. Like a Tsunami, it can result in devastation. Many of the Islamophobic parties and groups remind one of the atmosphere of Germany in the early 1920s, when “völkisch” groups and militias were spreading their hateful poison, and an army spy called Adolf Hitler was earning his first laurels as an anti-Semitic orator. They looked unimportant, marginal, even crazy. Many laughed at this man Hitler, the Chaplinesque mustachioed clown. But the abortive Nazi putsch of 1923 was followed by 1933, when the Nazis took power, and 1939, when Hitler started World War II, and 1942, when the gas chambers were brought into operation. It is the beginnings which are critical, when political opportunists realize that arousing fear and hatred is the easiest way to fortune and power, when social misfits become nationalist and religious fanatics, when attacking helpless minorities becomes acceptable as legitimate politics, when funny little men turn into monsters. Is that Dr. Goebbels I hear laughing in hell? The evil forces are enemy to both true Christianity and Islam, which necessitates that the followers of both great religions put up a united stand against a common enemy that is hell-bent on exterminating millions to fulfill its morbid whims and vagaries. Gloating over the recent killings in Norway of dozens of innocent people at the hands of an Israel-inspired Christian Zionist terrorist, Glenn Beck, the American right-wing talk show host, compared the victims of the shooting at a Norwegian summer camp to Hitler Youth in his radio program on Monday, according to a Daily Telegraph report. The “Hitler Youth” organization was a paramilitary youth organization comprising teenagers and children, entrusted with task of harassing and attacking and terrorizing perceived or real enemy of the Third Reich. It existed from 1922 to 1945. He stopped short of praising the murderer, suggesting that the victims got what they deserved. Beck is an ardent supporter of Israel. He is totally against any peace arrangement between the Jewish state and the Palestinians, especially one involving territorial “concessions” by the Zionist state. In the past, Beck and his other Christian Zionist fellows lauded and cheered Israeli massacres of Palestinians, including the intentional murder of hundreds of Palestinian and Lebanese civilians in Israeli aerial bombing and artillery bombardment. 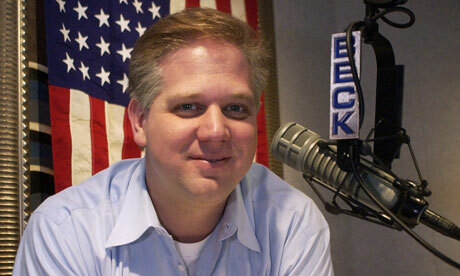 There is no doubt that Beck’s comments are grave and serious for what they represent and signify. This is no less than a new kind of Nazism raising its ugly head. Christian Zionism is the new Nazi beast, a kind of a Fourth Reich, looming on the horizon. It is evil, murderous and genocidal. They mendaciously call themselves Christians. However, their hateful speech, vindictive behavior and the nefarious way they relate to those who disagree with them suggest that they possess no iota of true Christian morality. The message of Christ is based on love and peace, but the Christian Zionist manifesto is based on death and destruction. This means these people take their cue, not from Christ and his values, but rather from Old Testament savageries and other hateful ideologies that represent the ultimate antithesis of everything that Jesus taught. Like their Jewish Zionist colleagues in hate, Christian Zionists would like to induce and expedite violence, tribulations, wars and genocides on a huge scale in order to accelerate the second advent of Jesus. This is why these genocidal monomaniacs wouldn’t mind if Israel exterminated millions of Palestinians, Muslims as well as Christians, as long as the genocide would effect and speed up Jesus’ second coming. Likewise, these criminal fanatics, utterly immune to rationality, reasonability and common sense, wouldn’t mind a no-holds-barred approach to those who disagree with them. Hence, liberal-minded people, leftists, Muslims and other Christians, such as Roman Catholics, would have to be slaughtered and annihilated, all in Jesus’ name. Even their current strange bed-fellows, the Zionist Jews, would eventually have to convert or die. The ostensible embrace by a key representative of the American evangelical Zionist camp of the recent Oslo massacre and its perpetrator exposes naked a pornographically violent cult that calls itself Christian while actually doing Hitler’s work. Just imagine the fact that we are talking about a combination of evil forces at work, including the nefarious powerful freemason cult, which penetrates many societies and governments, the Zionist movement, and neo-fascist Islamophobes seeking to ignite an internecine clash between Islam and the West. Today, it is Oslo; tomorrow it may be London, Paris, Berlin and Rome. The Catholic world is especially at risk of being a chief target of these mindless fanatics who think that the Pope is enemy number-1 to Jesus Christ. Hence, one would have to be constantly vigilant because these highly-motivated fanatics are capable of doing the unthinkable. However, it should be understood that befriending, let alone embracing these dangerous people, would be akin to placing a venomous snake in one’s lap. If it isn’t the result of continuous bombings on the besieged Gaza Strip, it is the denial of medical treatment for the terminally ill. Yet, US Aid to Israel will remain intact for the coming year, thereby making them an accessory to the genocide taking place. It takes DOLLAR$ to kill! Besiged Gaza- Palestinian medical sources in the Gaza Strip reported that a 33-year-old patient died on Sunday in the Gaza Strip after the Israeli Authorities denied him permit to be moved into the West Bank for urgent medical treatment. The Al Mezan Center for Human Rights reported that Raed Azzam Al Moghari, from Al Boreij refugee camp in central Gaza, had a chronic heart disease and required urgent treatment out of the Gaza Strip as the Israeli siege left hospitals in Gaza out of basic supplies. The Palestinian District Coordination Office had repeatedly contacted its Israeli counterpart, and informed the Israeli side that the case of Al Moghari is urgent, and that he needed immediate medical attention, but the request was denied. The patient’s health condition had severely deteriorated on Sunday, and he was moved to the operations room, but he died under surgery. beginning of this year after being denied medical treatment elsewhere. Hundreds of patients are currently in urgent need for further attention, but Israel is still refraining from granting them exit permits. The Center voiced an appeal to the International Community and Human Rights groups to intervene and end the illegal Israeli siege on Gaza, as the siege is one of the worst forms of collective punishment that threatens the lives of 1.5 million Palestinians in the Gaza Strip. It called on the United Nations to highlight the issue, and expose the ongoing Israeli violations against the residents of the Gaza Strip. Over 300 patients have died since the siege began due to a lack of essential medical equipment, and having been denied exit passes by the Israeli government to receive treatment outside of Gaza. As horrific as Breivik’s actions were, he can not be dismissed as a “madman.” His writings contain the same themes and language as more prominent right-wing Islamophobes (or those who style themselves as “counter-Jihadists”) and many conservatives in general. What’s more, Breivik was articulate and coherent enough to offer a clear snapshot of his ideological motives. Ali Abunimah and Alex Kane have posted excellent summaries of Breivik’s writings here and here and a full English translation is here. It is also worth sitting through at least a portion of Breivik’s tedious video manifesto to get a sense of his thinking. From a tactical perspective, Breivik was not a “lone wolf” terrorist. Instead, Breivik appeared to operate under a leaderless resistance model much like the Christian anti-abortion terrorists Scott Roeder and Eric Rudolph. Waagner and Rudolph organized around the Army of God, a nebulous group that was known only by its website and the pamphlets its members passed around in truck stops and private meetings. If they received material or tactical support, it occurred spontaneously. For the most part, they found encouragement from like-minded people and organizations like Operation Rescue, but rarely accepted direct assistance. Breivik, who emerged from the anti-immigrant Norwegian Progress Party (which built links with America’s Tea Party) and drifted into the English/Norwegian Defense League sphere of extremism, but who appeared to act without formal organizational support, reflects the same leaderless resistance style as America’s anti-abortion terrorists. The attack comes just a few months after unidentified gunmen, apparently Palestinians, shot dead Juliano Mer-Khamis, the Palestinian-Jewish actor who ran the theater. Mer-Khamis’ mother founded the camp in the 1980s in order to support children in the refugee camp. Mer-Khamis documented the theater and its destruction by the Israeli military, during the first intifada, in his film Arna’s Children. 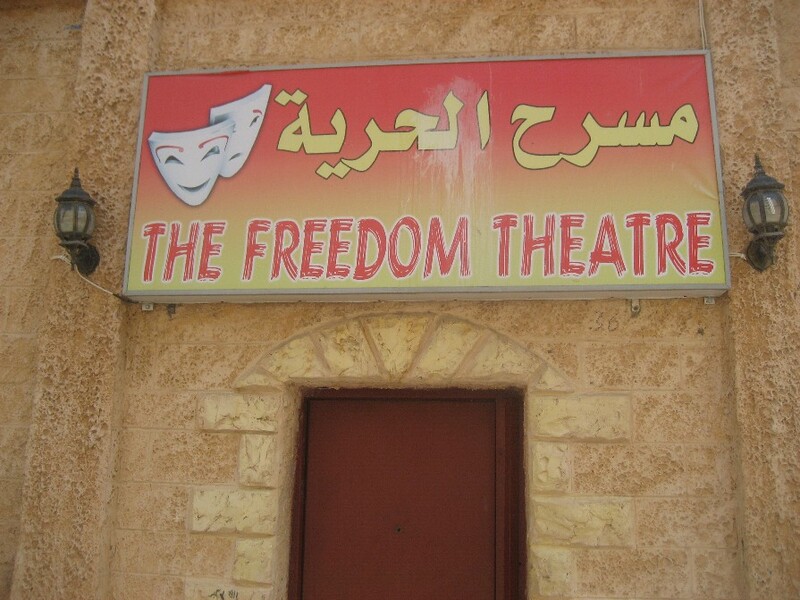 Israeli special forces raided the Freedom Theater early on Wednesday morning, according to workers at the cultural institution in Jenin Refugee Camp in the West Bank and the Israeli army. masked and heavily armed Israeli Special Forces around the theatre. small children surrounded by about 50 heavily armed Israeli soldiers. The Israeli military confirmed the raid, according to Ma’an News Agency. Kidnapped, beaten, ALL CAPTURED ON FILM…. The Al Aqsa Foundation in Jerusalem published a video showing members of the undercover forces of the Israeli military attacking Palestinian children as they played in Ras Al Amoud Palestinian neighborhood in occupied East Jerusalem, and forcing one of them into their vehicle before driving away. The child was later taken to a graveyard where he was beaten by the soldiers. The foundation said that the undercover forces kidnapped the child, Islam Jaber, 13, and detained him in Ras Al Amoud illegal settlement, in East Jerusalem, before taking him into a graveyard where they beat him repeatedly while he was cuffed and blindfolded inflicting concussions and bruises to different parts of his body. The soldiers drove their vehicle against the children as they played football on a minor road in Ras Al Amoud, before jumping out of their car and violently grabbing Jaber. Jaber said that the undercover forces violently attacked and beat him before trying to force him to sign some papers accusing him of unidentified violations, but he refused their demand and refused to give them any information when they asked him about his friends’ names and other info about them. The child is currently still suffering constant pain in different parts of his body and is suffering anxiety and constant panic remembering the horror he was subjected to. His family said that they will be prosecuting the officers in charge, and voiced an appeal to the International Community to intervene and stop the constant and ongoing Israeli violations and attacks against the Palestinians, especially against the children. The undercover forces are responsible for dozens of similar attacks in occupied East Jerusalem, and are behind the brutal beating of dozens of children in the occupied city. They are also responsible for thousands of deaths and instances where they shot Palestinian youths at close range causing permanent disabilities. The Palestinian Ministry of Detainees reported that Israeli soldiers kidnapped in 2010 more than 500 Palestinian children in Jerusalem, and additional 250 in the West Bank. Some of the children were eight years old, and were kidnapped after the army broke into their homes after midnight or at dawn. 92% of the kidnapped children were tortured and beaten, and were humiliated during extreme and extensive interrogation in illegal Israeli settlements and some police stations. If Muslims were involved it would have been terrorism….. If it was a ‘Christian’ zionist, it’s insanity…. UNBELIEVABLE! Their ‘camp’ seems to be growing daily. Their philosophy could make for a good chuckle if it wasn’t so dangerous. And dangerous it is as can be seen in the recent events in Norway. Threatening to burn the Koran is one thing, shooting down children in a summer camp is quite another thing …. but, those are the manifestations of hatred and ignorance. And, all in the name of Jesus to boot. Some examples of their madness follows…. All of the above are the true friends of zion, the ziogoys. There are more, many more, yet Islam is still pointed at as the enemy. When will we see a zeitgeist of truth and justice? Competing with Guinness is not an easy task, but the government of Israel seems prepared to do so as they start their own book of records…. NAZARETH, The preliminary reading passage of a bill placing West Bank museums under Israel law would not be the last racist law passed by the Knesset. The draft, which was passed with a 51-9 vote in the Israeli Knesset on Wednesday, was designed ”as a step toward annexing” the West Bank, said the bill’s author MK Uri Ariel. Just days earlier, the Knesset passed an anti-boycott law severely penalizing those who called for boycotting goods produced in West Bank settlements. Moreover, another law was passed monitoring Palestinian rights organizations, and another concerning the Palestinians’ right of residence; and finally restrictions were tightened against Palestinian prisoners in Israeli prisons. Recently, the Knesset decided that Arab MK Hanin Zoabi would be removed from activities in the Knesset until the end of the current session. Another law was passed forbidding Nakba Day celebrations. After the reading, Arab MK Mohammed Baraka said the current Knesset leadership had marked new heights of racism in its laws, pointing out that it passed in the final readings ten racist laws in the past two years, alongside several more laws that it passed in the first and second readings. 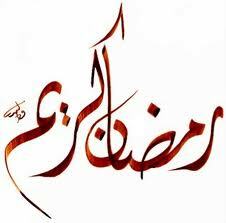 The Holy Month of Ramadan will start in about a week (approximately the First of August). It is a period when devout Muslims fast from sunrise to sunset. I found the timing of the following report rather amusing considering the proximity of the dates…. RAMALLAH — The Palestinian Authority’s customs agency seized a batch of slimming pills in the Jenin district on Saturday. “Custom agents informed police at the Allenby crossing about two suspects, and as one of them arrived from Jordan, police alarmed us. We followed them until they arrived home in Jenin, and we caught him red-handed,” Director of PA customs agency Ghalib Diwan told Ma’an. The seized pills came from a fake imitation brand manufactured in China called Ultra Slim and Seven Slim, which are originally manufactured in Lebanon, Diwan said. The pills were tested in Jordanian laboratories and reportedly contain carcinogens, he added. 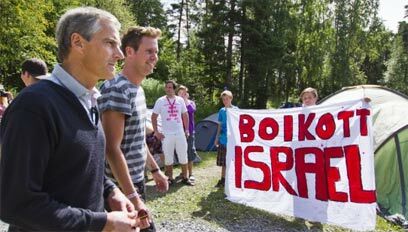 The teenagers who took part in Norway’s ruling party youth camp in the island of Utoya met with Foreign Minister Jonas Gahr Stoere and demanded he recognize Palestine on Wednesday, two days before the two days before the deadly terror attack which left many of them dead. Earlier this week, Palestinian President Mahmoud Abbas visited Norway and was told that Oslo will recognize Palestine, but not just yet. The Norwegian FM told the youths Oslo is waiting for the official Palestinian proposal to be submitted to the UN in September. Eskil Pedersen, leader of the Workers’ Youth League said that the movement endorses a financial embargo on Israel. He said that they will pursue a more active policy in the Middle East and expressed support for the resumption of peace talks. Gahr Stoere agreed, but said a boycott was not the way, explaining it will turn the dialogue into a monologue. Details on the culprit behind yesterday’s massacre in Norway, which saw car bombings in Oslo and a mass shooting attack on the island of Utoya that caused the deaths of at least 91 people, have begun to emerge. While it is still too early for a complete portrait of the killer, Anders Behring Breivik, there are enough details to begin to piece together what’s behind the attack. In four days the UN Security Council will meet, and the world has an opportunity to embrace a new proposal that could turn the tide on decades of failed Israeli-Palestinian peace talks: UN recognition of the state of Palestine. This hits the Muslim community in Norway in two different ways – first, their sense of security is threatened as much as any other Norwegian. On top of that, they are automatically blamed for arguably the darkest days in Norway’s recent history. Looking to place blame for the attacks that took place in Norway, many looked no further than the Muslim community. With at least 92 people dead and several injured, the brutality of Friday’s attacks in Norway left the country reeling. But who to blame for the bomb blast that tore through Oslo’s government district and the shooting spree that left scores of teenagers dead at a youth summer camp in nearby Utoya? Moments after the explosion that, as of Saturday night, left seven dead, pundits and analysts alike had assigned blame to al-Qaeda or an al-Qaeda-like group (a close approximation will do, one can suppose). There were also reports of a group calling the Helpers of the Global Jihad either claiming responsibility for the attack or lending it support to whoever carried it out. The group retracted its rather vague statement on Saturday. Norwegian police, meanwhile, concluded fairly early on that the attacks weren’t the work of a foreign terrorist group. They have 32-year-old Anders Behring Breivik in custody – he is believed to be the gunman who opened fire on the teenagers attending a youth camp organised by the Labour Party. It’s also been reported that Breivik bought six tonnes of fertiliser in May from a farm supply firm, which seems to take a page right out of another non-Muslim terrorist’s handbook: Timothy McVeigh, who along with Terry Nichols, blew up the Alfred P Murrah Building in Oklahoma City in 1995 with a truckload of fertiliser, killing 168 and injuring 450. Still, despite the initial lack of evidence shortly after the attack – and a growing stack of evidence pointing to the contrary later – some continued to look for a “jihadist” connection in the Norway attacks. Some looked for a link between the attacks and the anger that erupted after a Danish newspaper published cartoons of the Prophet Muhammad in 2005. The local Muslim community was quick to respond. The Islamic Council of Norway immediately issued a statement of condemnation, saying that any attack on Norway was an attack on the homeland of its members, while imams and other Muslim community members visited with various Christian groups and church leaders in an effort to not only offer condolences, but to improve lines of communication. “We are in deep sorrow with the Norwegian community,” Muhammed Tayyib, the coordinator of The Islamic Cultural Centre Norway, told Al Jazeera. Tayyib said that even though most of the Muslim community are immigrants, that they are “part of the democratic system and support the freedom of expression. We are reacting [to the attacks] as Norwegians, not as outsiders”. Tayyib said that the mosque at the cultural centre, which is in the heart of Oslo and not far from the bomb blast, remained open to all on Saturday. He said many non-Muslims had come in on Saturday to talk about the attacks or just to get to know the Muslim community better. Rizwan Ahmad, the general secretary at the cultural centre, said that reports of backlash against Muslims in Oslo left the younger members of the cultural centre feeling vulnerable. Two women wearing hijabs, he said, were harassed on the street while a Pakistani man was beaten on a bus. But Ahmad said that the Muslim community remains in solidarity with the greater Norwegian community. “We don’t say anything about (the attacker) being Muslim or not Muslim. It’s still a tragedy,” he said of the attacks. Dleen Dhoski, coordinator of the Muslim Student Association at the University of Oslo in Blindern, said that the concern wasn’t about who was to blame. “Our main concern wasn’t [whether] it was a specific group that performed this horrible action, but we were shocked and concerned about the wellbeing of those who got affected by the attack,” said Dhoski, who said she felt that Norwegian media was fairly neutral in its reporting. “And [we were] even more shocked that something like this could be happening in our safe homeland … This was an attack on peace and democracy in Norway, so I don’t believe it has an effect only on the Muslim communities, but the entire nation,” said Dhoski. The group continues its public outreach, she said, attending debates and dialogues with non-Muslim groups while keeping an open line with the media. Of course, it wasn’t just the pundits and security analysts who were looking no further than the Muslim world to blame for the attacks. The far-right – which has shown itself to be focused on with blaming Muslims for all European ills – was doing the same. Notably, the Nordisk group (a nationalistic, anti-immigration activist group described as having “Nazi-like beliefs) was busy blaming Muslims for the attacks on its forum. Posters complained that the “uncontrolled immigration from Muslim countries” was to blame and that the attacks were “expected” and that, “terror will not decrease when the desert rats surge across Europe”. The group did not respond to an interview request on Saturday. While Nordisk is certainly a somewhat fringe element, Norway, like many other European countires, where anti-immigrant groups have gained significant ground in recent elections, is swinging further to the right. Its Progress Party has been getting stronger, with some elements in the party seeking tougher immigration laws. In 2009, it called for the deportation of parents whose children wear the hijab to school. 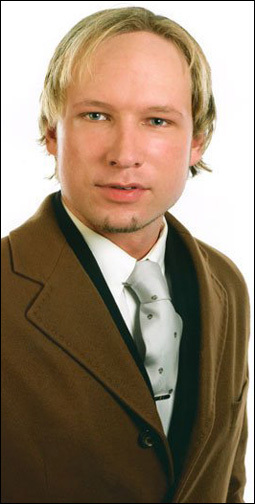 The posters on the forum seemed unaware that Breivik is reportedly a member of their group. Norway’s police confirmed that Breivik identified himself as a “Christian fundamentalist”, while local media reported that he had posted anti-Muslim rhetoric online on several occasions. Indeed, Breivik, it has been reported, was also rather taken with at least one member of the far right, Pamela Geller, a noted anti-Islam activist who fought against the construction of an Islamic community centre near the site of the former World Trade Center towers in New York. Geller, who in May blogged that Muslims were responsible for “all rapes in the past five years” in Norway linked Friday’s attacks to a “jihad”. Ali Esbati, an economist at the Manifest Center for Social Analysis, says the negative perception of Muslims in Europe has become a “convergence point” among right-wing groups, who spread the viewpoint of Muslims as an “occupying force and threat to Western society”. “The wider problem is that it’s not even radical Islam that’s seen as a threat – it’s the idea that all of Islam or Muslims are a threat,” said Esbati. He’s not surprised by the knee-jerk response of Muslims being blamed for the attacks, as he says, discourse is not driven by facts or statistics. Rather, it is driven by perception – and right now, terrorism’s face isn’t of the radical right or of separatist groups in Europe. This has lead to the proliferation of what Esbati calls fundamentally “racist” ideas towards Muslims. “The tone in public discourse … has become much harsher, it’s been a gradual process,” said Esbati. Still, the question remains: When what was targeted was a government building and a youth camp put on by a political party – one that calls for the recognition of a Palestinian state – why would a Muslim be a more likely suspect than, say, a far-right terrorist? Essentially, the answer simply seems to be this: It’s been nearly a decade since the September 11 attacks, which, it seems, have had the effect of making Muslims the terrorist fall-guy in the Western world. “It was obvious that everyone would assume that it was a Muslim,” said Ibrahim Hooper, spokesman for the Council on American-Islamic Relations. “Unless it has been committed by a Muslim, it’s not terrorism. If a non-Muslim commits an act of terrorism, they don’t call him a terrorist. They say he was ‘a madman,'” said Hooper. Even though Breivik has been identified as a Christian, Hooper says he’s sure his actions will not be affiliated with his faith – nor should they be. It’s important, he says, to realise that an act of terrorism carried out by an individual, no matter what religion or creed, not be associated with the entire population following that faith. This, of course, is not the case for Muslims in the current climate, and so Hooper says the focus should be on outreach. Muslims in Norway must continue to build coalitions and to work to “marginalise extremists of all faiths”, he said. Any tragedy that occurs these days is followed by a ‘knee jerk’ reaction by the jerks of the world, BLAME THE MUSLIMS! No matter where, no matter how, there must have been Muslims involved. This ‘mentality’ serves the interests of both the United States and Israel in allowing them to continue with their Islamophobic agenda. Overheard in Jerusalem last evening… “No country deserves such a horrendous attack more than Norway does, how dare they support a Palestinian state!” A second later these same idiots were blaming Muslims for it. But, can we expect logical thinking from such illogical people? In reality, the apprehended suspect is an anti Islamic, Christian nationalist (whatever that means). His motive may have been to get Muslims blamed for his deed. Apparently, the suspect was quite open about his beliefs on his FaceBook page which makes one wonder why it is only anti zionist pages that seem to be deleted by the administrators of that Site. Right wing, ‘Christian’ extremism is OK to write about. The press, the Telegraph in particular, was quick to ‘point out’ it was either the work of right wing extremists or al-Quaeda (how could they not be blamed?). Again blaming the Muslims when in doubt, even if the group being blamed is nothing more than a Mossad operative. And ya’know what? IT WON’T WORK! Earlier this week, three Israeli missile ships and seven commando boats intercepted a French ship attempting to reach the Gaza Strip. The ship, Dignite-al Karama, was the sole representative of the original 10-strong international aid flotilla hoping to break the blockade on Gaza and express support for Palestinians living under occupation. 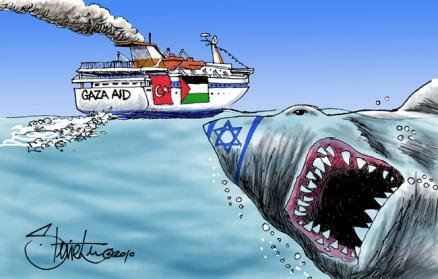 At least 150 soldiers were sent to sea early Tuesday morning to prevent the 10 civilian activists, the three crew members and the three journalists on the flotilla from reaching Gaza’s port. Fifteen passengers were arrested, prevented from seeing their lawyers, and sent for deportation. Democracy Now! interviews Ha’aretz correspondent Amira Hass, one of the few journalists who was aboard the ship. Hass is also the one of the only Israeli journalists to have spent several years living in and reporting from Gaza and the West Bank.